Our 1st commitment is to our customers. Since 1998, Enercov has partnered with numerous regional blue- chip companies across different industries to achieve precision air control, with a low total cost of ownership. Our approach has created a win-win outcome where our customers benefit from a rapid ROI and low on-going running cost. From design and consultation, to installation, project management and maintenance, our excellent reputation is supported by our satisfied customers with whom we have enjoyed long-term partnerships. At Enercov, we constantly strive to innovate solutions and to stay ahead of our game. 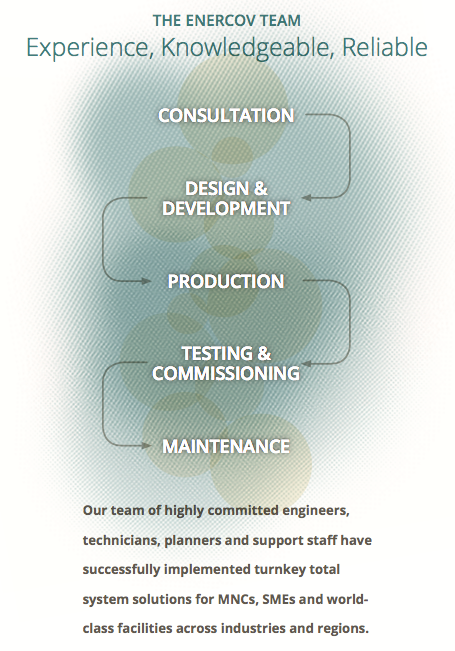 Our cost efficient solutions have been proven to yield sizeable cost savings for our clients.